Hello there! Finally! 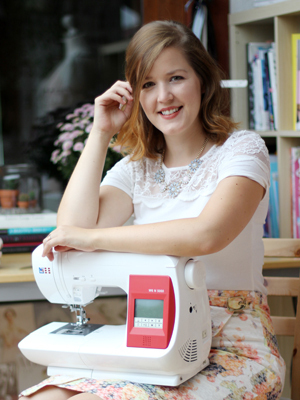 A sewing-related post :) It’s been a while! 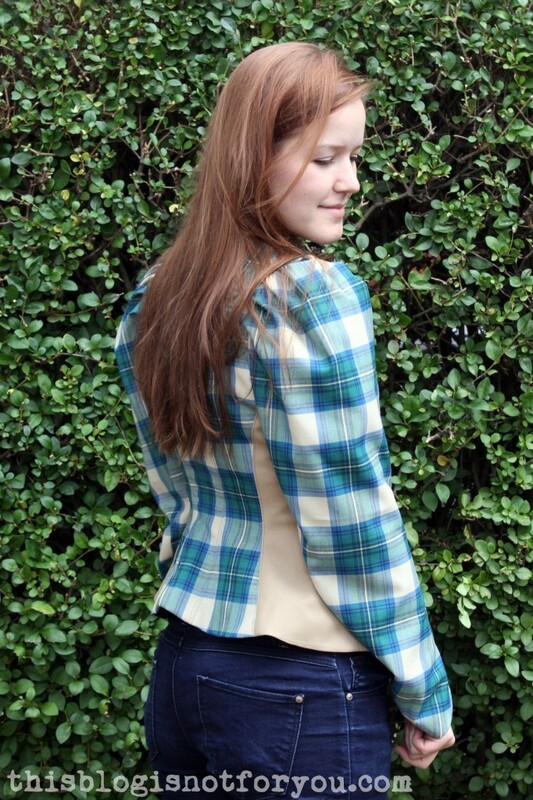 I scored 3 metres of a pretty greenish/blueish cotton plaid at the last fabric swap in Goldhawk Road and went through my pile of Burda magazine looking for a jacket or blazer pattern. 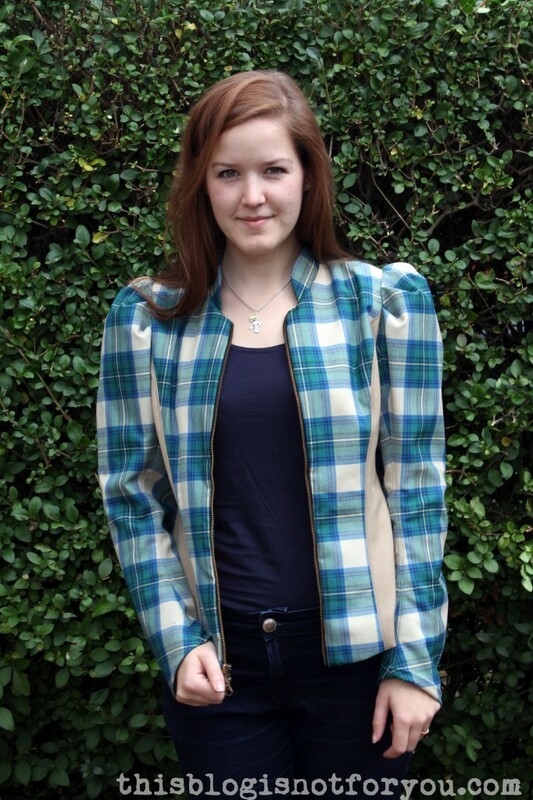 I came across this leather puff sleeve jacket which I really loved and thought I’d give it a try. 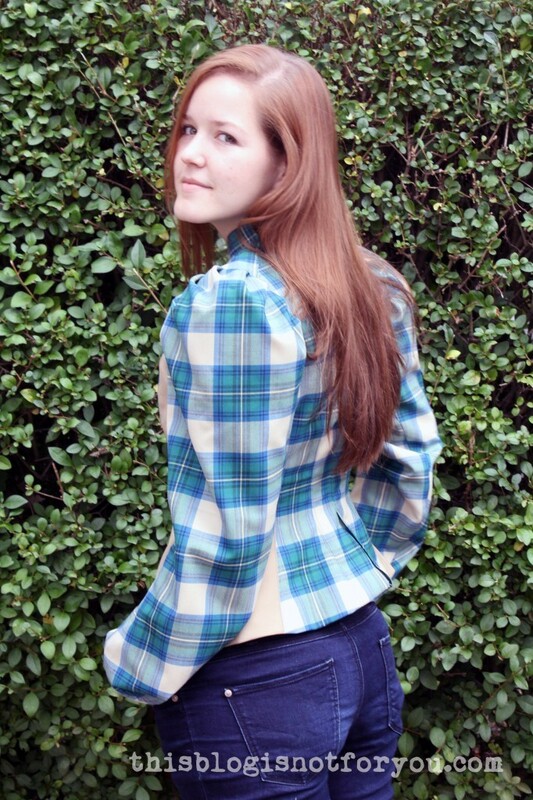 It’s from Burdastyle 8/2013, #113. 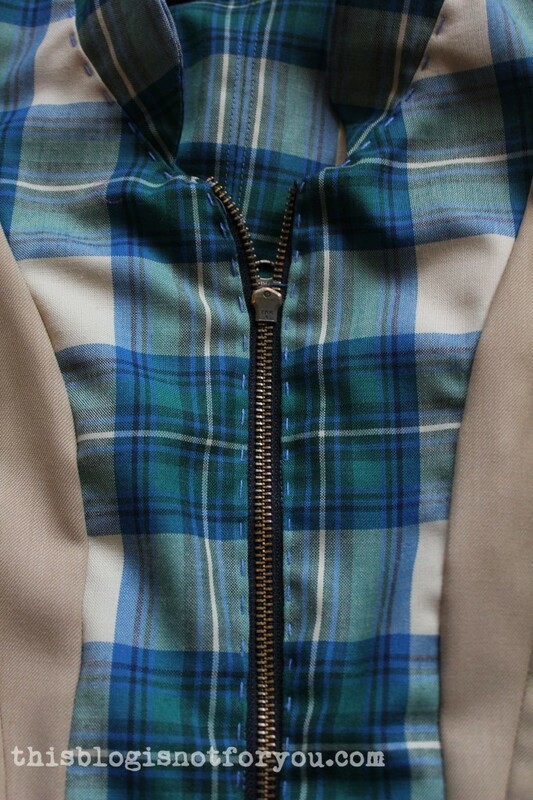 As the pattern is supposed to be used with leather I absolutely didn’t know if it would affect the fit of the jacket if I used it with my cotton/linen fabric. No risk, no fun! 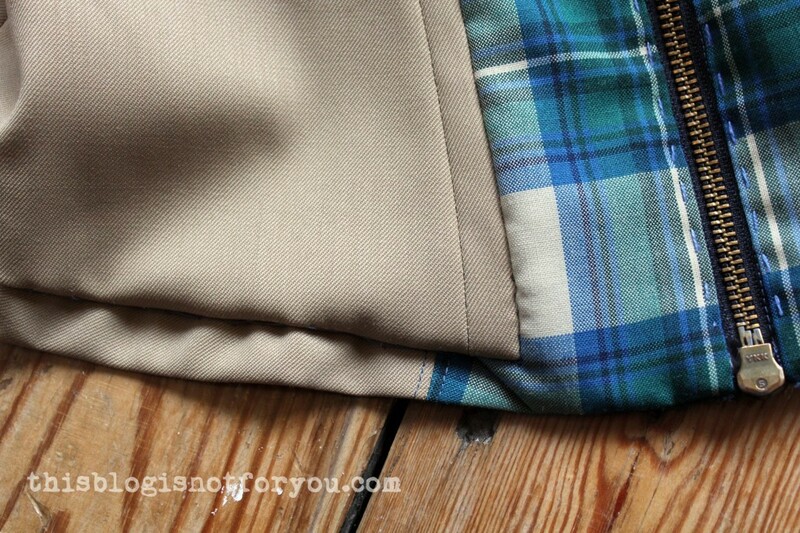 Well, as soon as I started cutting out the fabric, I learnt that working with plaid is annoying as f***. 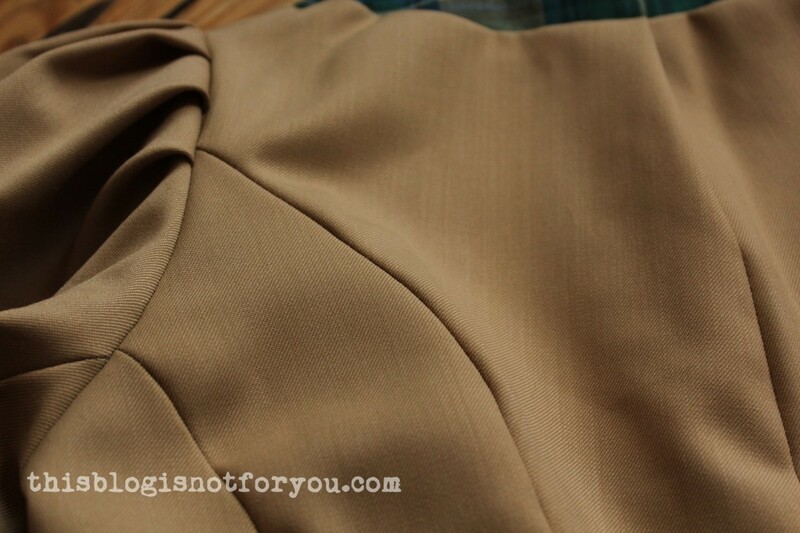 You have to be so so soo careful if you want the pattern of the fabric to match up at all seams in the end. After six hours (!) of cutting I took a break and didn’t start sewing until a few days later. Sewing the pieces together was not as easy as I thought, as you have to match up the pattern at the seamline, not the edge of the cut out pieces (otherwise the lines will be off by almost 1/4 inch or more). Look! I made it! Phew. 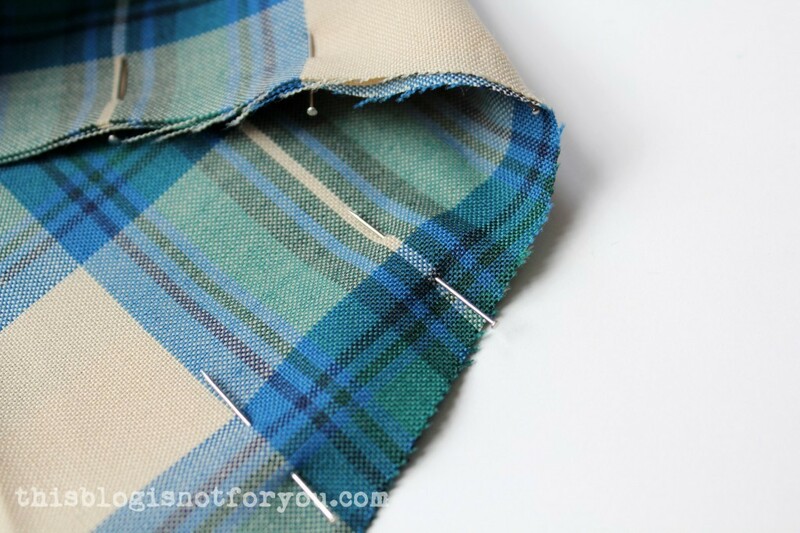 Sewing with plaid is nerve-wracking! I struggled a bit with the zipper because the left front panel was a bit off after sewing it in and I had to take out my BFF Mr Seamripper. 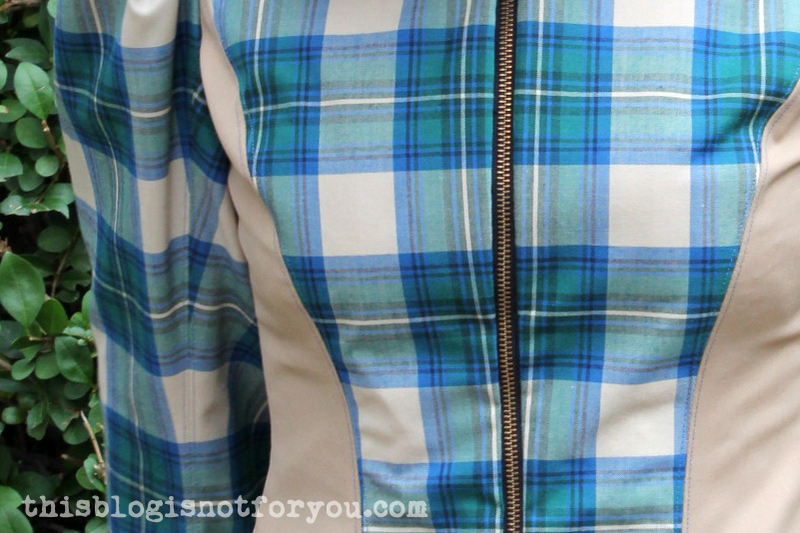 By the way, as the zipper was from an old cardigan of Mr Thisblogisnotforyou and the fabric was from the fabric swap, this jacket basically didn’t cost a penny! 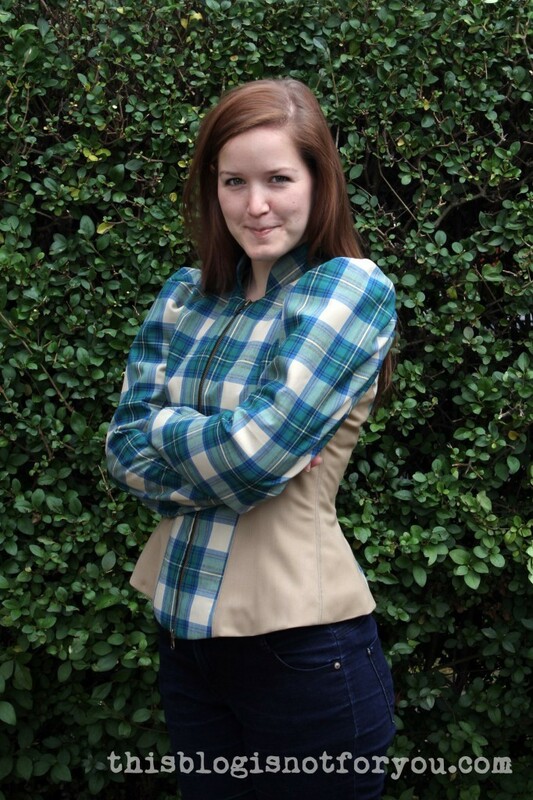 Well, I’m still proud of the jacket. 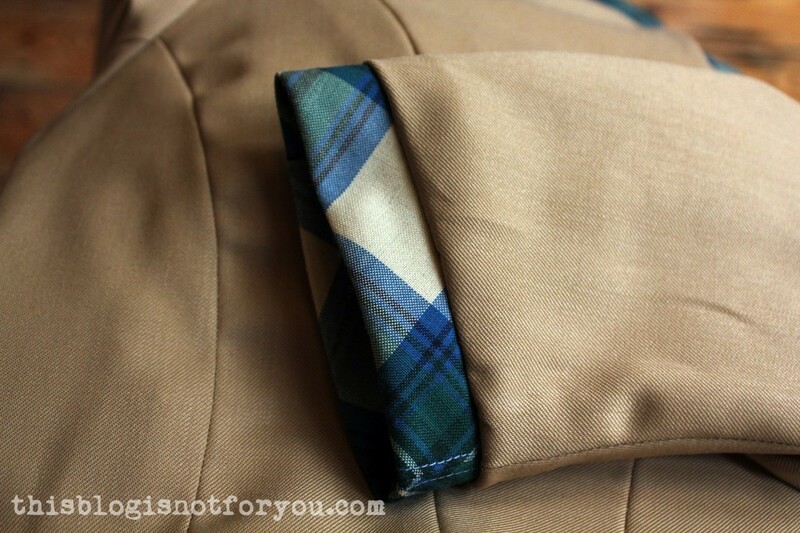 It’s the first time I sewed in a full lining and I doesn’t look too bad. 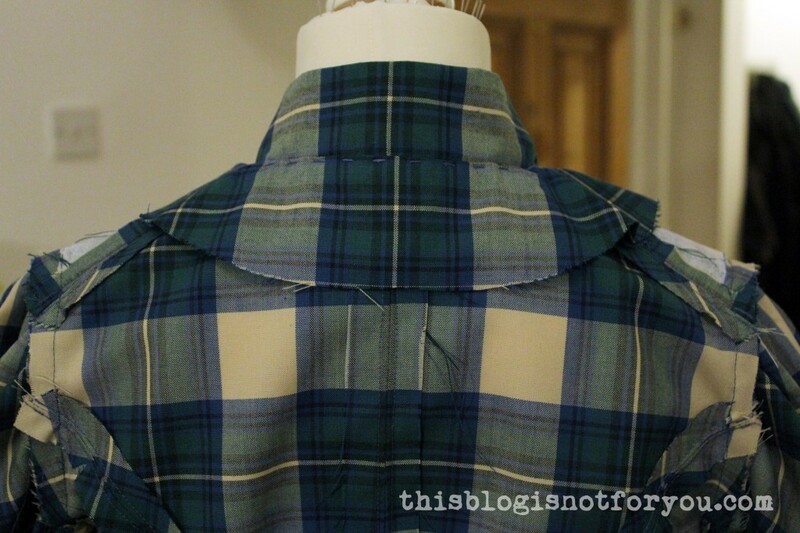 I embellished the facing with blue embroidery thred instead of edge-stitching it to the seam allowance. Well, at least I now have an excuse to (finally!) get ticket to the Globe theatre to see some of Shakepeare’s finest. As a sewer of over 40 years – EXCELLENT JOB!! 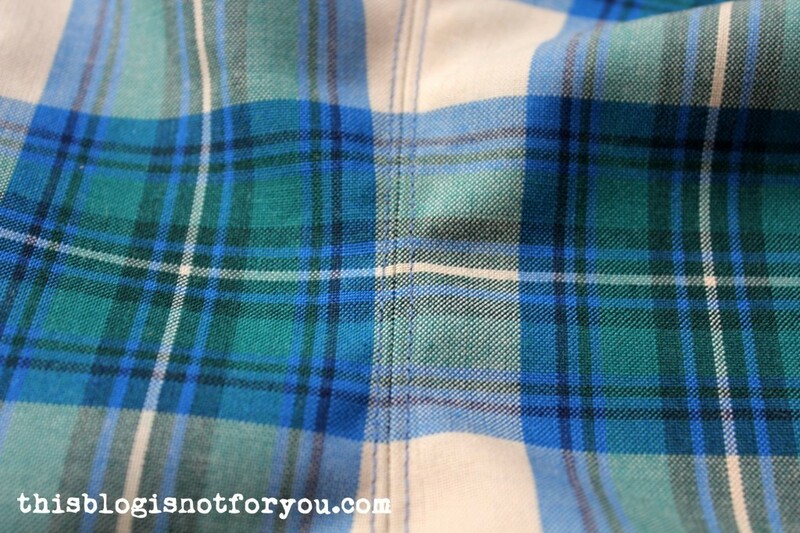 Your plaids are perfectly matched. I love your blog. Thanks for writing it! 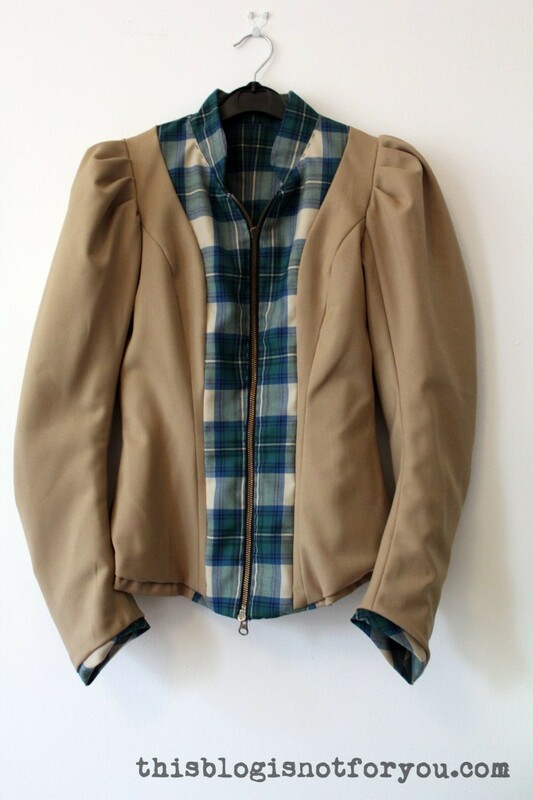 I love this jacket! 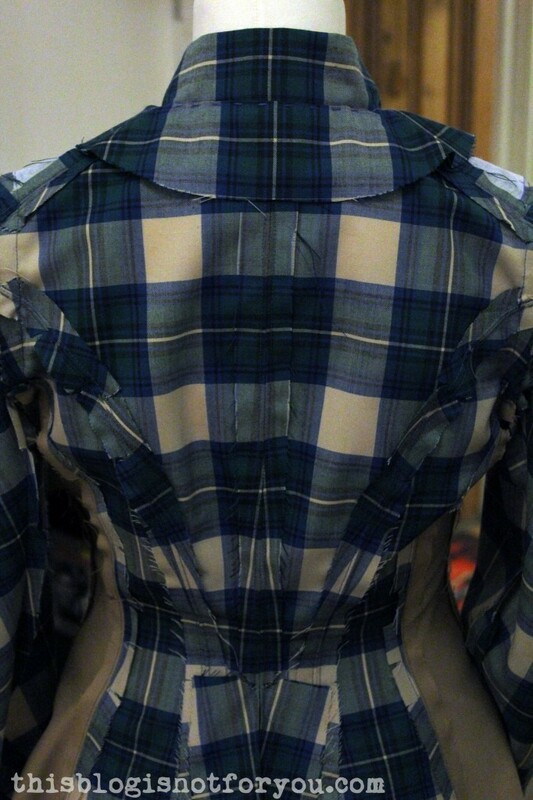 I actually really love the sleeves too!! I feel like widening the shoulders and hips create that hourglass tiny waist effect. 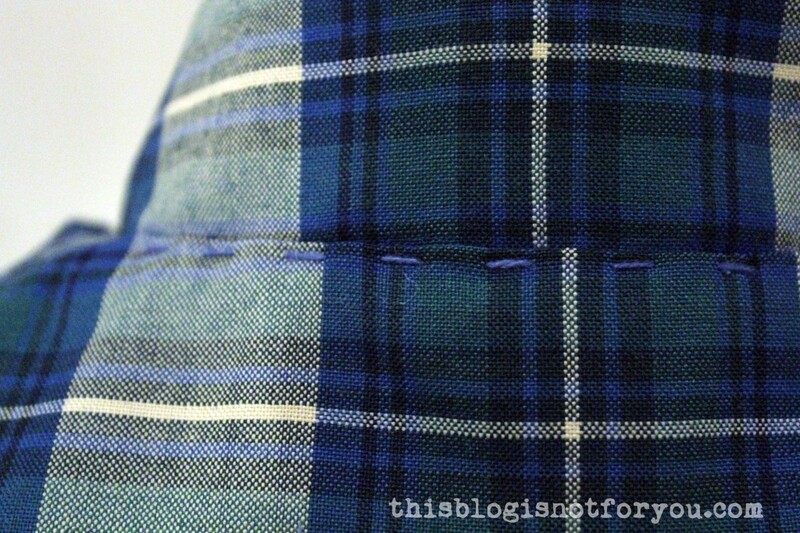 Matching seams…I never tried with plaid! I’m sort of scared to! 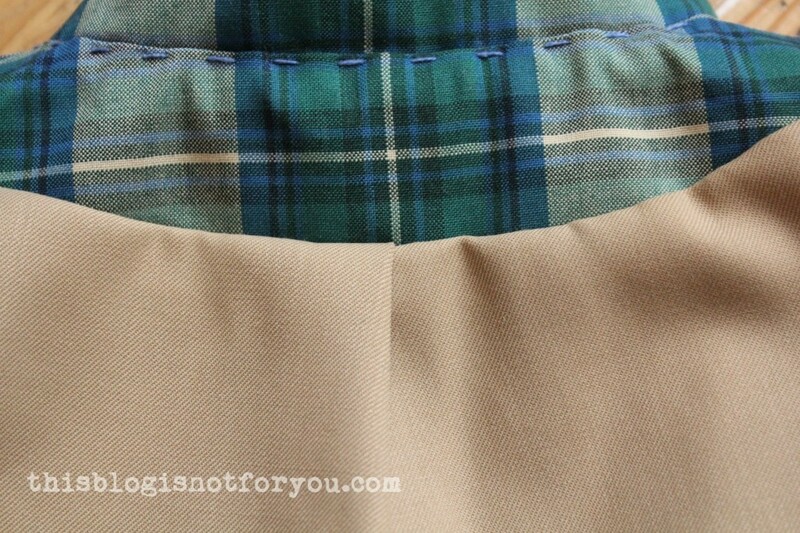 Your lining looks impeccable- another thing I’m scared of! The embroidery stitches set it off. Fabulous, wonderful, bravo!! That is amazing! It’s not something I think I could pull off, but I love it all the same! 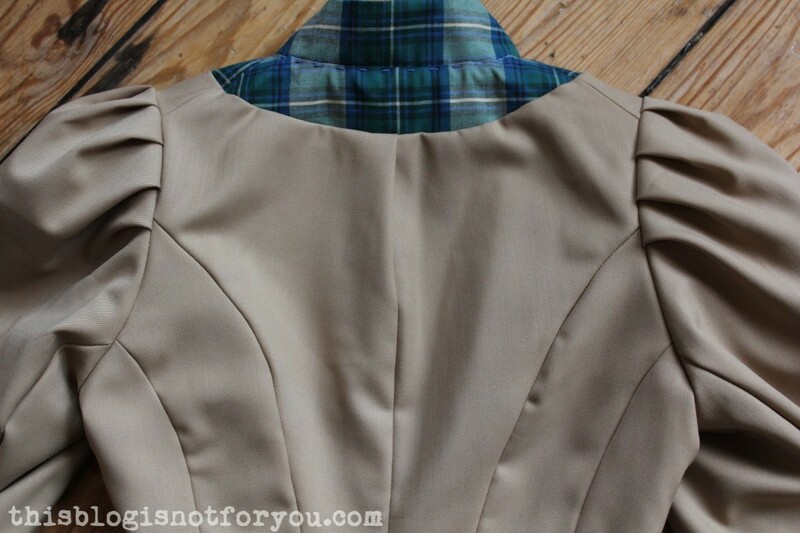 I’m about to do something with puff sleeves…great minds.. I am in love! The shape, the colors- this is wonderful!!! 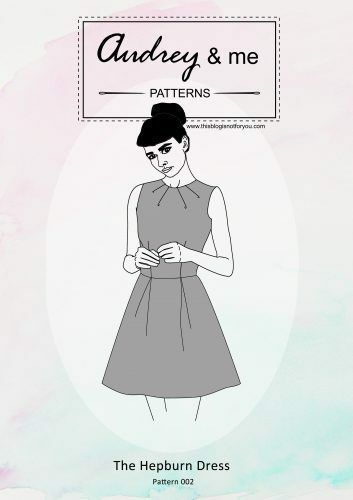 The pattern I used was included in the magazine, but as far as I know, the instructions in the PDF pattern you buy online at burdastyle.com are the same. 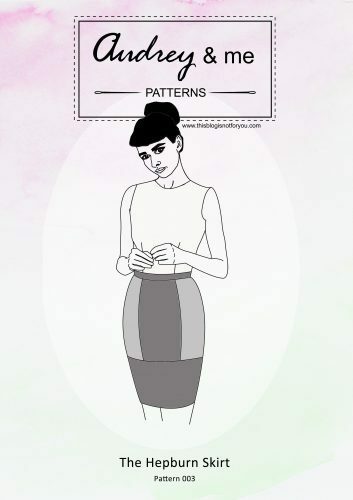 Sometimes Burdasstyle does illustrated step-by-step instructions, usually for one pattern in each magazine. 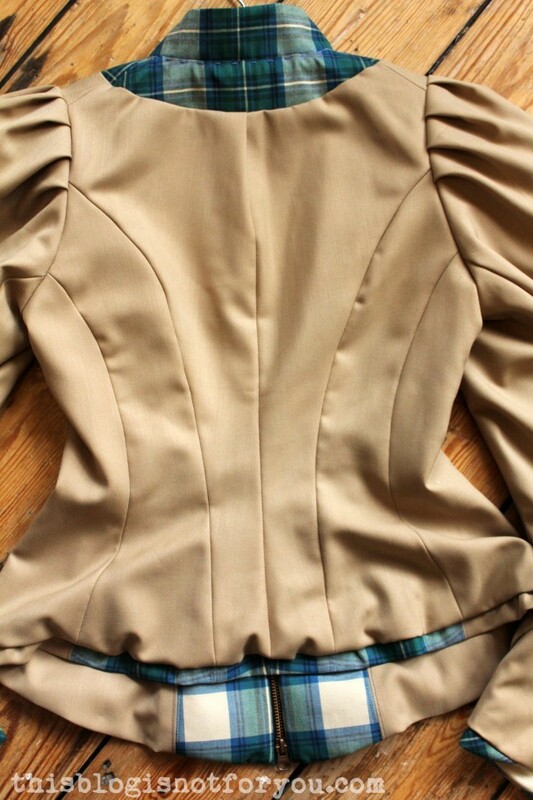 This jacket came with only the written instructions that were ok-ish (as ok-ish as burda instructions can be). 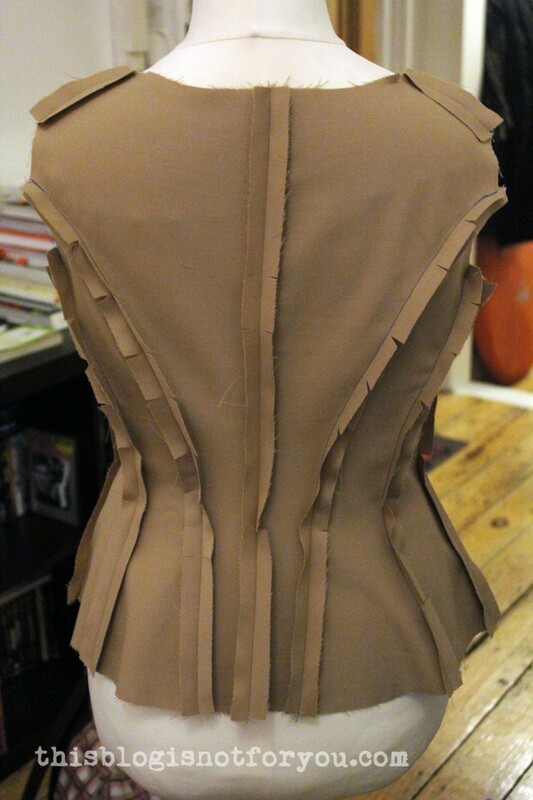 I remember that it wasn’t hard at all, but the instructions for cutting out and sewing in the lining were rather poor. I had to consult two other books to find out what to do. If’re you a rather novice sewer, I wouldn’t recommend this pattern. But if you confident figuring out a lot of stuff yourself by just trying or looking things up somewhere else, this pattern is pretty do-able. 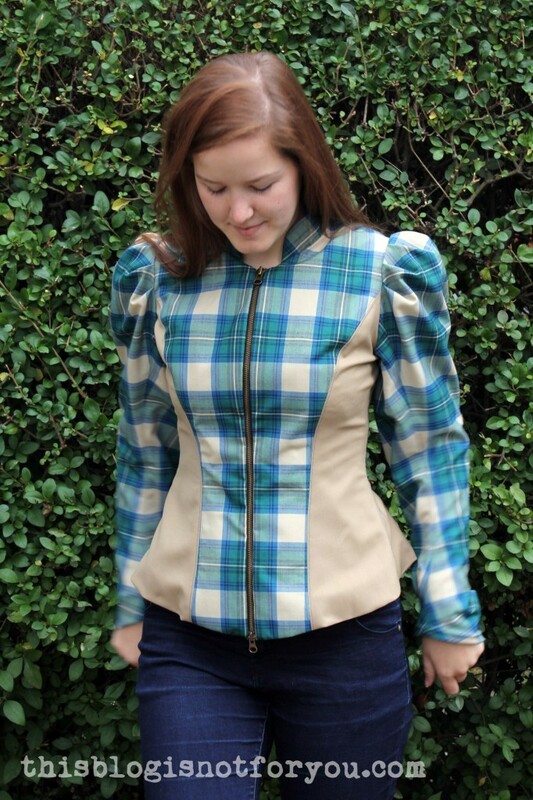 It’s the first jacket I sewed and at this time I was an “ok sewer” and didn’t have advanced skills. Hope that helps!